How much manual and repetitive work does it take to keep your post production projects on schedule? PostSchedule.io simplifies the process of keeping a show's post schedule up-to-date. 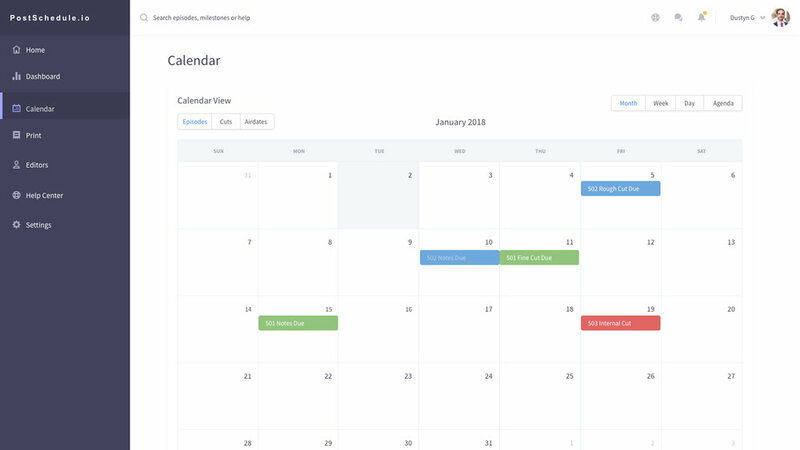 Create the schedule once and present it as a calendar, or in the network's preferred format. Changes made in one schedule ripple to every other format. No more manually keeping different versions in sync with each other. PostSchedule.io also features beautiful printing options. PostSchedule.io is currently in user testing. Sign up to be the first to know when we launch.